LordsArt is proud to provide a large selection of gift baskets that are a perfect and unique way to tell that special friend, neighbor, co-worker, church member or family member that you care and are thinking of them. 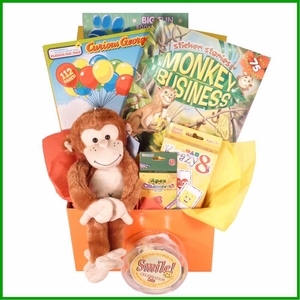 We carry themed gift baskets for all occasions including baskets for mothers, birthdays, bereavement, births, housewarming,thank-you baskets and for all age groups from babies to adults. We know we have a gift that is just right for your special needs and one that will be remembered forever. Holiday gift baskets are a perfect way to show your appreciation for the special people in your life. With options for every holiday on the calendar, and a wide variety of birthday baskets, we have everything you need to give an unforgettable gift for any occasion. Whether you’re sending sympathy baskets or themed gift baskets to welcome a newborn, you’ll find the perfect present in our selection. Order your festive Christian gift baskets today from LordsArt.com.